Improved cut, copy, and paste. With Android Lollipop and earlier, this process used symbols to represent these actions, which could be confusing. In Marshmallow, those symbols are replaced with words and the whole module has been moved from the top of the screen to right above the text you have selected. USB Type-C support. The best thing about USB Type-C is that you no longer have to worry about trying to plug it in upside down - it fits both ways. I'm really excited about this upgrade. It also means that you'll need a new cable when you upgrade your smartphone or tablet, but it will soon become standard across mobile devices and laptops. App Backup and Restore. Isn't is frustrating to upgrade to a new phone, only to find that your apps aren't the same as you left them? With Marshmallow, your smartphone, when connected to Wi-Fi, will backup app data directly to Google Drive. Then you can easily restore that data when you move to a new phone or if you need to wipe your device for any reason. Chrome Custom Tabs. Now when you're using an app and you're sent over to the web, you have to wait for the browser to load, which can be frustrating. This new feature lets apps preload some web content so you experience less of a lag. More control over app permissions. All apps require certain permissions and currently you have to say yes or no to all of them. With Marshmallow, you can pick and choose which permissions you want to allow and which permissions you want to block. Some apps may not work properly in the short term since they need to be updated in order to accommodate this new feature. But, eventually, you will get better privacy and security as well as a better understanding of what you're sharing with third parties. Simple security. This one is simple, but important. In the Settings menu going forward, you'll see "Android security patch level" with a date indicating when your device last received a security update. This way, if more security flaws such as Stagefright or the recently discovered lock screen bug, you can easily figure out if you're at risk. With Google and major manufacturers promising to release monthly security updates, this feature will confirm whether they are living up to it. 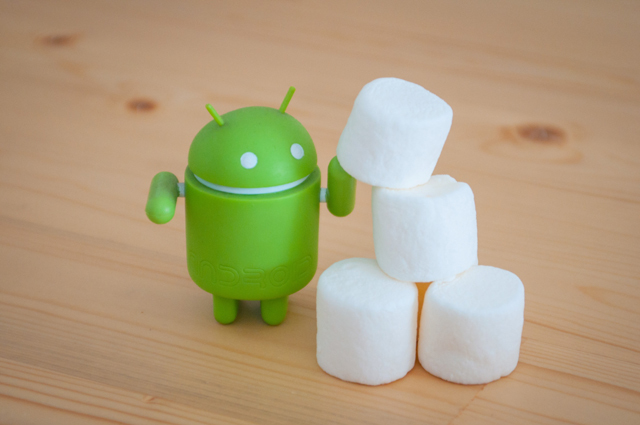 These are just a handful of features and improvements you'll get with Android Marshmallow. I'm excited to try them out when I update my OS. Stay tuned for walkthroughs of all these features as well as Google Now on Tap, Android's improved personal assistant.